Maersk Line has announced an increase in its FAK rates from Asia to North Europe effective 15 May as it seeks to build on a brief period of stability in the container spot rate market. The North Europe component of this week’s Shanghai Containerized Freight Index (SCFI) recorded a 2.9% increase to $811 per teu and for Mediterranean ports there was a 3.6% uplift to $783 per teu. However, rates have still some way to go to match the levels of a year ago when for the same week the SCFI reading was $961 and $949 per teu, respectively for North Europe and the Mediterranean. Moreover, carriers are having to contend with bunker prices at around a third higher than 12 months ago, as well as a big spike in ship charter rates, and other inflationary pressures that will potentially put a dent in their profitability targets. Maersk’s new FAK rates from China to North Europe have been set at a level of $1,025 per 20 ft and $1,800 per 40 ft and are valid until 31 May. However, rival CMA CGM’s FAK rates, valid until the same date, are set at $850 per 20 ft and $1,600 per 40 ft. Indeed, Andrew Scorer, senior container pricing specialist at S&P Global Platts told The Loadstar today that the future rate position of carriers was “mixed” with some lines looking for increases from the middle of the month while others are maintaining their current FAK rates and going all out for an increase at the end of May. “The issue is that some carriers are introducing newbuild ultra-large vessels into their schedules this month which could lead to lower than anticipated cargo allocation percentages as they are bigger vessels,” said Mr Scorer. Nevertheless, he said that his reading of the situation was that the carriers seemed to be in a “more positive position than April” when spot rates were on the slide. Elsewhere, Drewry said it was expecting a “slight increase” in spot rates to Europe next week based in the impact of FAK hikes. Meanwhile, spot rates on the transpacific tradelane dipped this week with the SCFI’s spot rates from Asia to the US west coast declining by 5.9% to $1,382 per 40 ft and dropping by 2.8% for US east coast ports to $2,364 per 40 ft. This is broadly in line with the same week a year ago when the SCFI reading was for a rate of $1,432 per 40 ft for the west coast and $2,432 per 40 ft for east coast ports. In its latest Container Horizons monthly report, London-based consultants ClipperMaritime advised that ocean carriers on the transpacific appear to have “caved in on improving rates” in their annual contract rate negotiations and instead have “settled for retaining volumes” after the significant increases obtained in the previous year. The SCFI comprehensive index ticked up 0.3% this week to a reading of 778.83, which is down on the 865.03 level of 12 months ago, suggesting an overall weaker picture in market. It doesn’t matter how much they try to bring to the media the image of the carriers saviour, raising levels while they keep the vamp policy by offering rebates discounts fm FAK (even -25%) to their bazooka forwarders, that kind of cushioning is killing medium carriers who needs to go -25% below MSK FAK to not to lose their market share, do you really think asian carriers are cheaper because no reason? Mike’s article is a bit behind recent changes in Maersk’s so called strategy to increase the FAK rates. As usual the Carriers don’t quite have the “spine” to commit to the rate increases they “talk” about. Yes, Maersk sent out the higher rate sheets on 4th May covering the validity 15th – 31st May, but got the “shakes” by 10th May and reduced the rate level for the 2nd half of May back down to $825 / 1400 / 1450. The industry needs higher and stable rates to be viable. 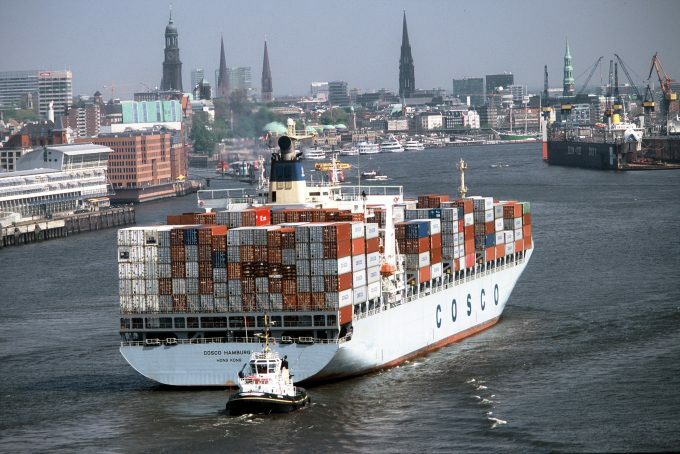 Just like the global economy needs a healthy Banking Industry, it also needs a healthy Shipping Industry and that doesn’t come without higher, more realistic rate levels. They are their own worst enemies as they set the rate levels.